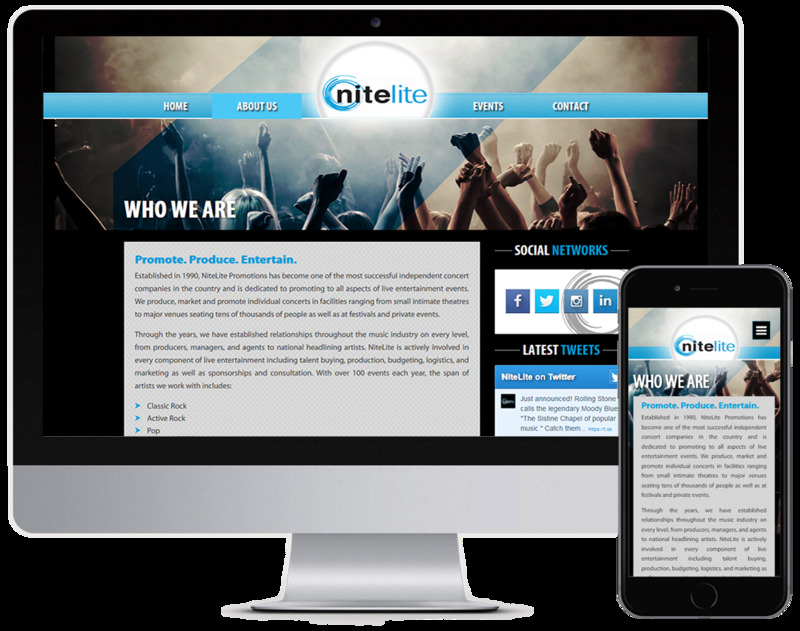 Established in 1990, NiteLite Promotions has become one of the most successful independent concert companies in the country and is dedicated to promoting to all aspects of live entertainment events. 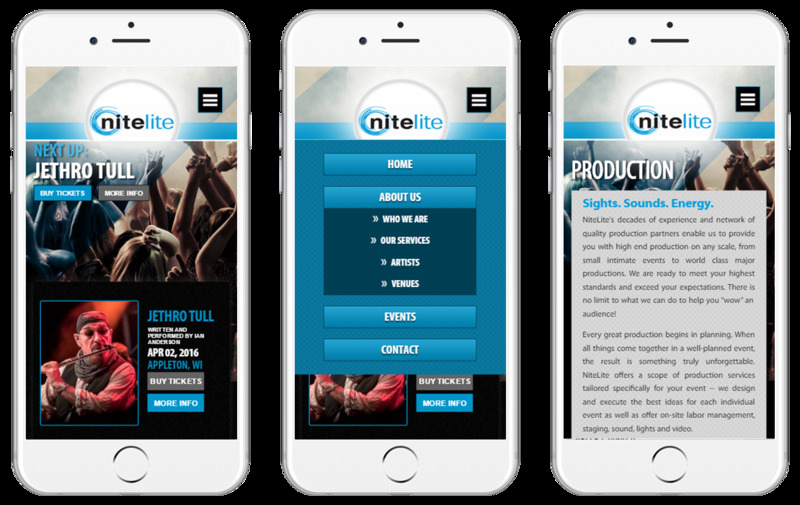 We produce, market and promote individual concerts in facilities ranging from small intimate theatres to major venues seating tens of thousands of people as well as at festivals and private events. 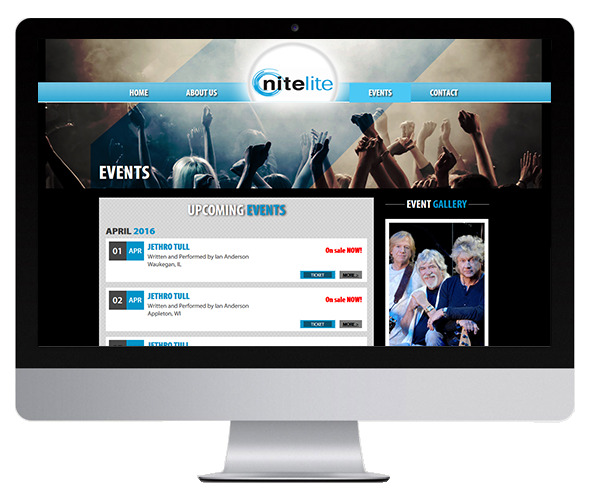 We know how quickly content changes on websites - event dates, performers, and venues; it all needs to be updated regularly. 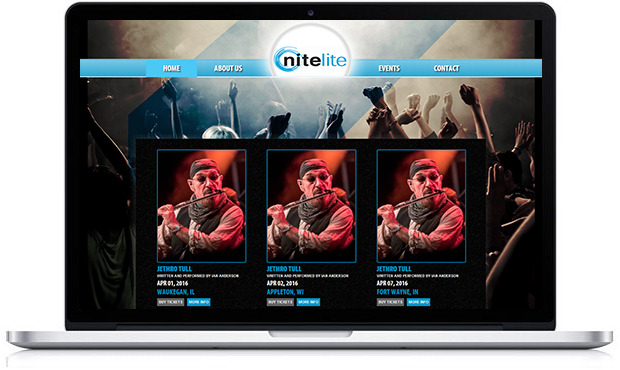 We customized a simple back-end to ensure their team members can easily update content, without the need of a computer science degree.